Australian Open 2019: Djokovic versus Nadal – Rivalry Revisited. The Australian Open Final concluded with the miserable route of Rafael Nadal by the impregnable defensive arsenal of Novak Djokovic. 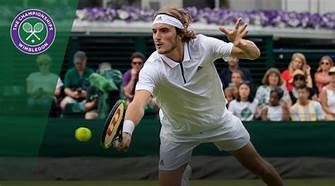 Can Tsitsipas save tennis from the baseline bores while adding YouTube subscribers? Andy Murray acknowledged that he could cry, but not play, like Roger Federer. Fabio Fognini’s scintillating winners, and Nadal’s and Djokovic’s grind, from the baseline. Can anyone thwart Rafael Nadal’s plan to take his twelfth French Open? Why aren’t Novak Djokovic and Kei Nishikori discounting Roger Federer’s prospects on the clay? What’s wrong with Alexander Zverev’s game? Can anyone stop a Rafael Nadal versus Novak Djokovic final in Monte Carlo? Are Novak Djokovic, and Robin Soderling in the Roger Federer fan club? 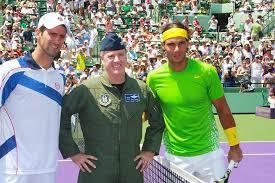 Rafael Nadal, and John Isner caught drunk on the Roger Federer kool-aid! Andre Agassi succinctly details the perils of facing an in-form Roger Federer. Roger Federer’s masterclass in how to neutralize 135 mph bombs. What next? Looking back at Nadal, Federer, Djokovic, and Thiem at the Indian Wells Masters. Nick Kyrgios is in the news for tennis lately. Roger Federer is only the second man to score a century. Will Kvitova, Wozniacki, Kerber, Stephens, Garcia, Sabalenka, and Vekic win their 2nd round matches at the Australian Open? Reliving Sir, and the player, Andy Murray.